The Kalachrakra Tantra-"Tantra of the Wheel of Time"-speaks of three closely interwoven levels, the so called "outer", "inner", and "other" wheels of time. It is the theory of structural correlations and parallels among all things and in particular between the universe, mandala and the human body. 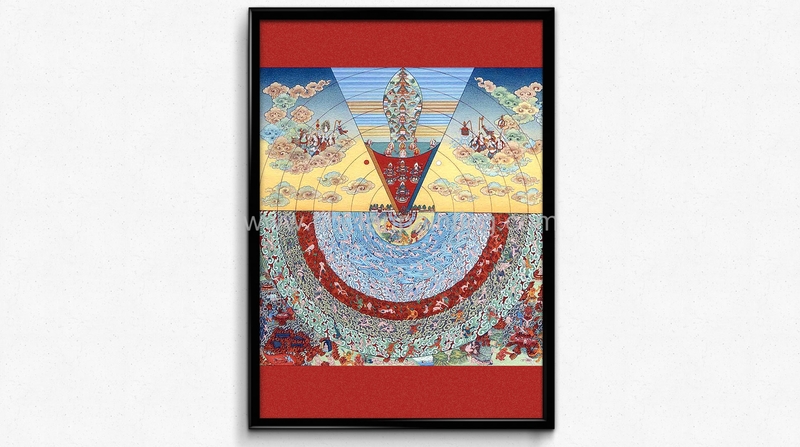 The "outer wheel of time" comprises the outward appearances of the whole human environment, namely the universe with its element discs, Mount Meru, the winds and its rhythm of time. The "inner Kalachakra" is made up of what lives in this environment, human beings, whose structure, composition, and "inner periodicity" correspond exactly with that of the outer wheel of time. The "other Kalachakra" is the teaching of these analogies and correlations, as well as the resulting yoga practice, a kind of "mental judo" : one uses the powers in the inner and outer wheels of time instead of opposing them.